World Premiere on September 10th! We show a new form of adventure. Whoever you are, wherever you are: Get ready for a motorcycle that will allow you a whole new experience. The experience of being able at any time to break out of the everyday. Do not miss out when the curtain falls. 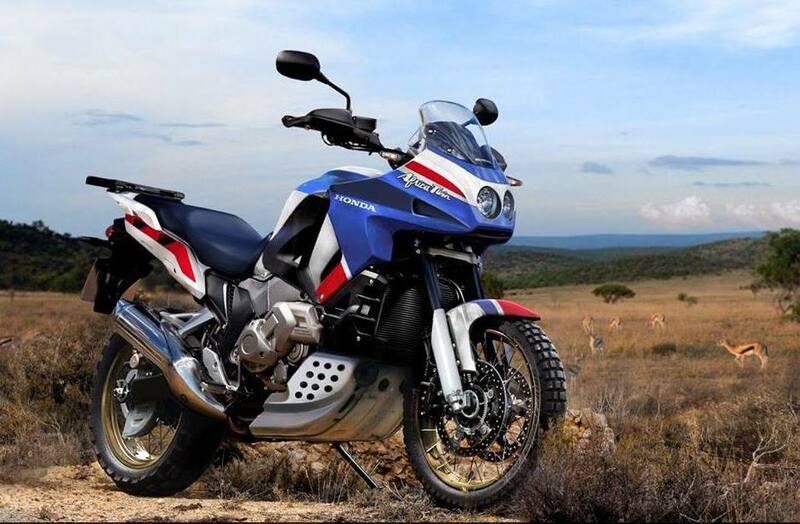 This entry was posted in Bike Reviews and tagged 2015 Africa Twin, Africa Twin, Honda Africa Twin, honda's new adventure, New Africa Twin. Bookmark the permalink. 42 Responses to The Honda Africa Twin is back! very interesting observations and you must have done lots of reading and research. I feel that it is too late. I mean they won the P-D 4 years in a row and did nothing for us in North American while other companies brought out adventure bikes all these years since 1989. The African Twin was sold in Canada for 2 years. and they also have a cult following all over the world. 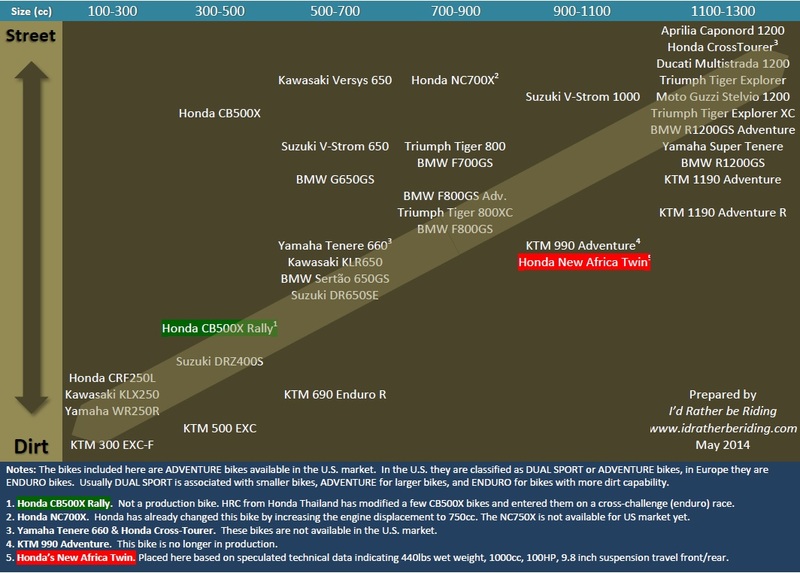 So now Honda wants to capture the market when they should have done so around 1990, instead of 25 years later (2015). BMW brought out their P-D models and they have become collector’s items. You are right. It probably is too late in a certain way. But at the same time, this is one of the few growing segments of the motorcycle industry. If Honda has done their homework well, they could just turn that page and have a fresh start with the old name to carry it forward. I do think it is possible, if they approach it right. They may know about this better than I do. Now, the question remains, will it ever be brought to the American market? 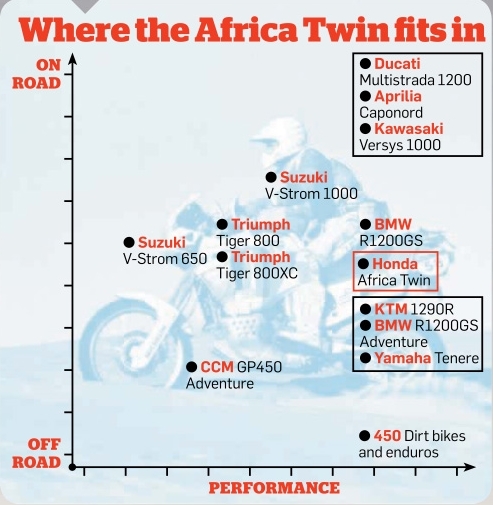 And yes, BMW did a much better job than Honda, with their PD bikes and the GS line based on the Paris-Dakar success. And also much better than KTM when the other opportunity knocked with Charlie Boorman and Ewan McGregor. 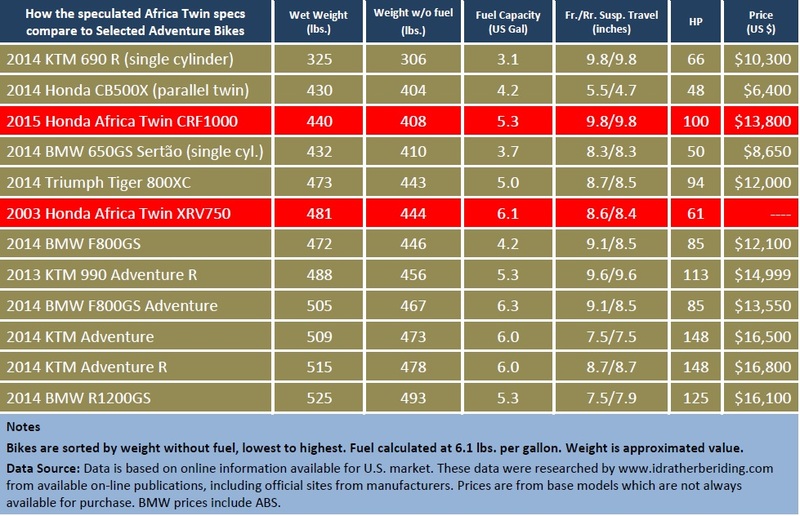 Anyway, I’m curious to see if this new Africa Twin is true and if so, what bike this will be. Is the 2013 KTM ADventure 990 wet weight = 588 lbs ? Shouldn’t be 488 lbs ? You are right, I will correct it. THANKS! While the 2014 KTM 690 Enduro R is a single (with nearly 70 HP), it is right in the gap area. It is. Besides being a single, it requires modifications to become an “adventure” bike. People have taken this bike on long journeys, it is possible, but it is not ideal. 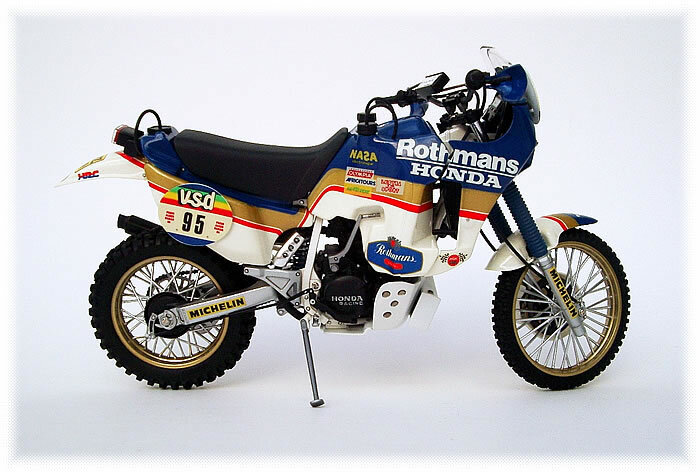 Well… many of us have been seduced by 1,200 cc adventure bikes. I have one of these bikes. I just got back from a 240 mile ride on my Multistrada. While it is an awkward bike to take on an enduro ride, my ride today was all on paved mountain roads and the Multi does that so well and makes it so much fun. But yes, the point is, there is plenty of options on this 1,200 cc size, not enough in the middle, and no 1,200cc bike is a serious enduro motorcycle – not even the KTMs. 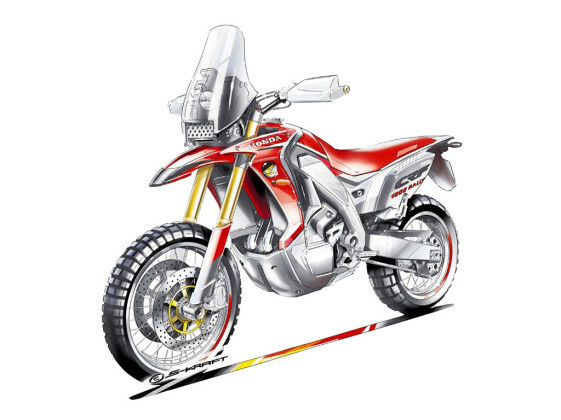 Hopefully Honda’s Africa Twin will bring a new perspective by bringing an old concept back to the future. 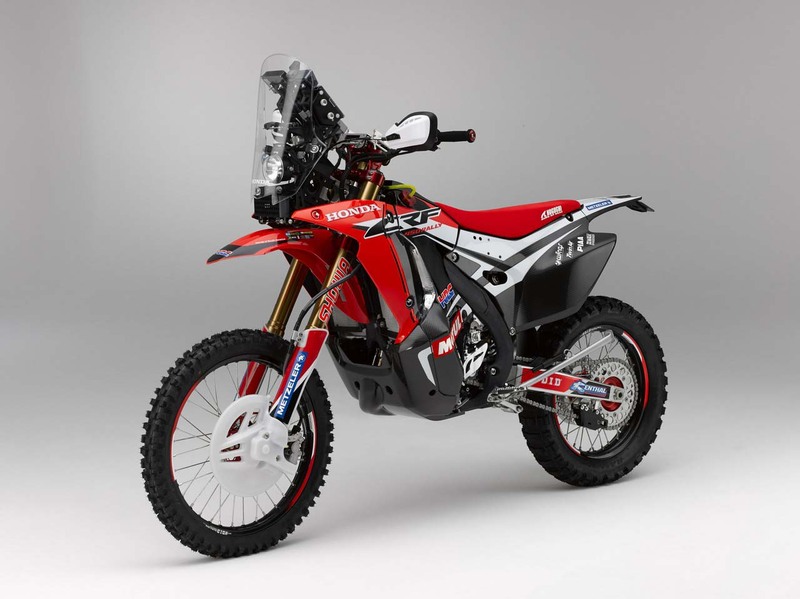 That is, a bike that reminds us from where this type of riding started, a true enduro/adventure bike but with the new technology that will allow it to perform better than in the past, including it being lighter weight than current bikes. Maybe that is possible. Maybe not. Let’s see. You guys in Europe will get to see it before we do here, if they make it and if this bike ever comes to this side of the pond. Great article and some quality research. In recent years I’ve seen the light and have downsized from a 1200GSA to the 800GS, then Tenere and now a 2013 KTM 690 Enduro R. I’ve heard from two trade sources that KTM is to introduce (or should that be reintroduce?) a new midrange model at EICMA, though personally I’d prefer a 690 Adventure model. Thanks! This information makes sense to me in light of the move from the 950/990 to the 1190. If this is true, and looking in retrospective, the 1190 was perhaps a way for KTM to clean their marketing strategy by keeping a product at the 1200 level and now bringing something more clearly in the mid-range side of things (considering the 990 was not one thing or the other). In 2013 there was a lot of excitement when the 1200 level of this market got a lot of press with the introduction of the KTM 1190, the BMW water-cooled, the semi-active suspension on several bikes (BMW, KTM, Ducati), the Aprilia Caponord, The Tiger Explorer, etc. Maybe we will next see some action in the midrange, with a new KTM, the Africa Twin, and who knows what other manufacturers should be doing. We hear riders asking Yamaha to build a smaller Tenere based on the parallel twin of the MT-07 or the triple of the MT-09, for example. And what will BMW do to the now veteran 800GS? And where is that 900cc 270 degree crank motor developed for the Nuda? The 690 Adventure in my opinion will continue to be a niche in the market. These mid-range bikes being talked about will likely not be as light as the 690 is, and I would think by a substantial enough margin. But let’s see what is next! Thanks again Timothy! 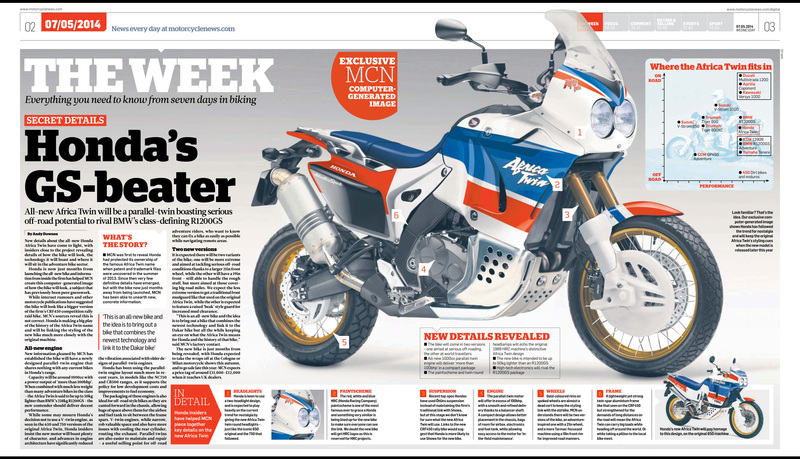 Great article and as an owner of a Super Tenere I would like a lighter bike. I bought mine to make a trip to Alaska from NJ, wanted reliability and long distance comfort, I don’t trust BMW bikes, too expensive and not as reliable. I was hoping to get the Triumph 800 but the Tenere was announced before the 800XC. 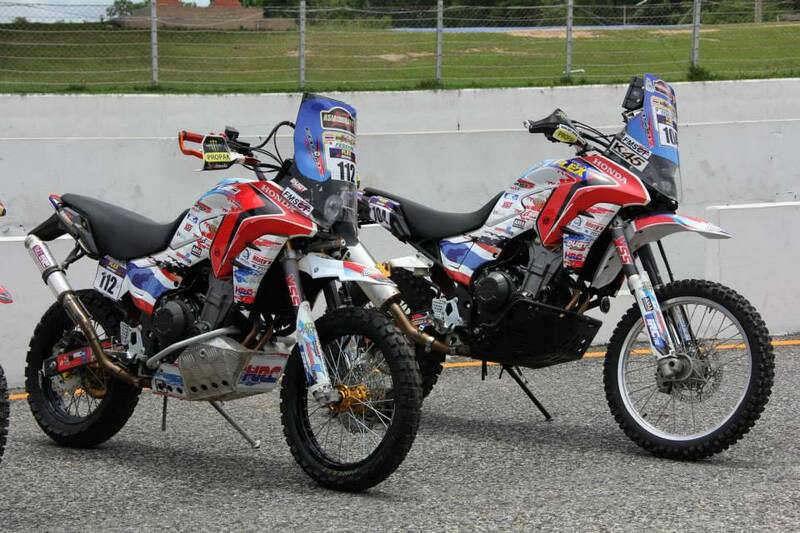 A twin in the 800 to 1000cc with Honda reliability would be perfect, a light weight would make it even better. Lets hope Honda makes it. Thanks George. 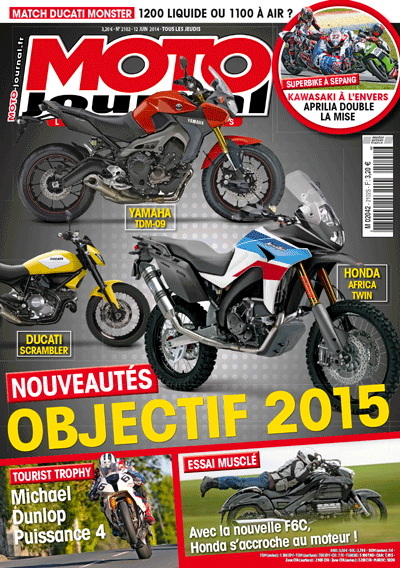 Yes, let’s see what Honda will make out of the Africa Twin name. 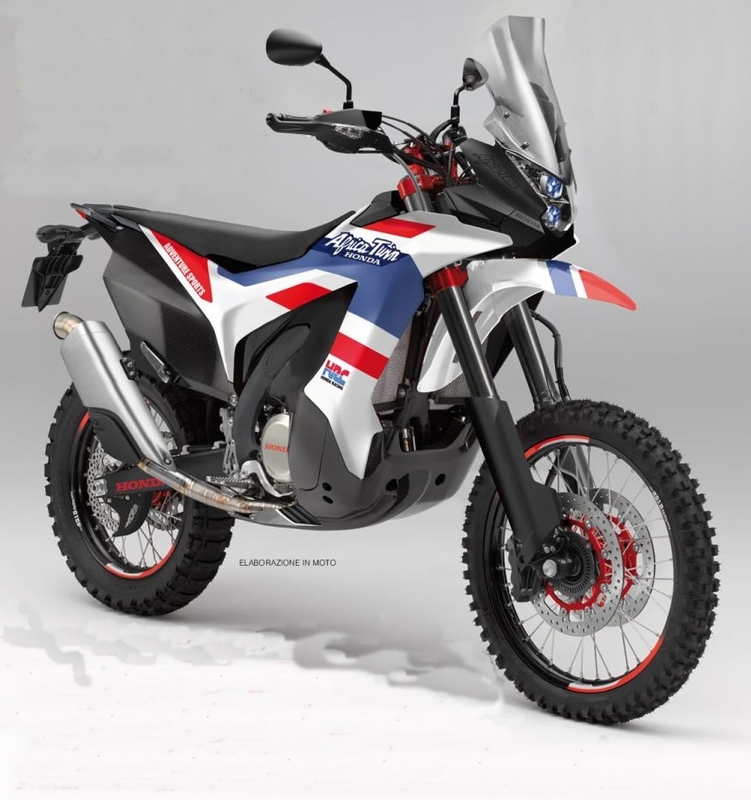 A nice adventure tourer or a nice dirt bike that will travel long distance in comfort? Or both. Had a 2010 BMW F800GS and treated it like a baby. After two years of ownership and ten days before a planned one week trip I started having problems starting the bike. I took it in and they found several things wrong. This included having to replace the fuel pump and injectors, some gasket, and some bolt. The bolt had to be ordered from Germany as there wasn’t any stock located in the US. I was told it would take a few days to get it repaired. They had my bike in the shop for two and a half weeks. My vacation was pretty much ruined and I ended up sitting at home waiting for the repairs. What really pissed me off was that BMW denied the warranty claim for replacing the fuel injectors and pump. Luckily the dealer stepped up and took care of it but by that time I was done with BMW. Once my warranty ran out, I sold the bike. That was almost two years ago. Now I’m looking at a CRF250L just to get back on two wheels but not to spend a lot of money. I want something that is reliable this time! A 250 for messing around town and a 1000 for longer trips might just be a good goal to set. I think that the 1200GS and 800GS models are incredible but I’m not ready to spend another $15000 plus on a bike if I don’t trust the manufacturer to live up to my standards. Great article Cesar. You’ve definitely been added to my computers favorite links. 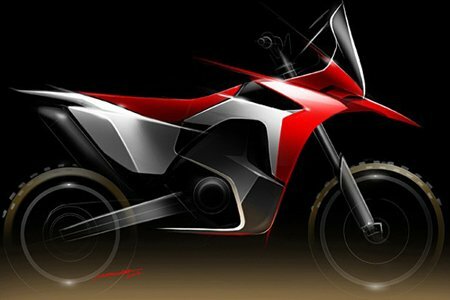 More details are emerging about the rumored Honda 2015 Twin. Here is an excellent post with details from many different sources. Enjoy! We Canadians have been patiently waiting for a REAL DS entry from you Honda! The Varadero is too heavy and too much street and the XR650L is too tall and too much dirt……..shouldn’t be that hard to come up with a workable compromise? Less than 430lbs, 80 – 90HP, 21″ front tire, 400km range, component protection and good old Honda reliability. I promise you, I would buy one today! Ditto x 2 of what EhPatientlyWaiting wrote. Us folks just south of the CAN border are in too. That’s a nice looking bike, Carlos! Wow, that’s a very comprehensive report. You should work for Honda. Based upon their recent history, they will put auto transmission on it or find some other way to screw it up. Living in South Africa, we have amazing routes and trail options. So I have a 950SE, a 950 Adventure and a DRZ 400 for the lighter stuff… The bigger bikes are amazing for covering long distances between trails or the SE particularly, on the odd Sunday when we do a 600 km trip, with loads of gravel stretches in between the trails. The Adventure is a couch for long tar/gravel and the odd trail on long trips. The DRZee… Well, that’s just heaps of fun anywhere except on the road… Both of my fat cows make 100 ponies. Both are very capable offroad but you are fooling yourself if you think you are going to finish a motorcross ten lapper with one of them, unless your name is Graham Jarvis or you are one of his riding mates. Me..? I am just a fifty year old codger, with 40 years of offroad riding experience, who knows a motorcycle inside and out and who knows my way around a trail. My belief is that if you cannot ride it, then hike it. So I choose my routes well and I ride a lot of technical stuff and I take the appropriate weapon on the outing. This Africa Twin has been amusing me for a few months now. The first claims were. 100hp and 180 kilos.. Okay cool. So that is the KTM 950 Super Enduro spec. But the bike is fitted with nothing that an Adventure bike will be fitted with.. For this bike to be equipped with everything that Adventure spec requires, I think it will have to be a bit of a lightweight… This would mean exotic materials and design, along with the electronics that are demanded in our day and age to create creature comforts. A bike based on the 500cc twin would be great as it’s a fantastic and lively engine. The mods would see fairly easy , although Honda is thorough in their engineering, so development wouldn’t take too long. As an alternative – I’d think someone would offer a conversion package for the cb500x that – at around $2,500 US would sell pretty well. Based on what they’ve been discovering about this bike, you may get enough “adventure” out of this bike keeping the existing forks, just modified their insides, a change of the rear shock and springs, besides wheels. I’m not sure it will be within the $2,500 you mention. But if it did, this bike would be a pretty good choice. When she looks like shown above from the MCNs picture, I will go and buy it just like this. While it is assumed she has a bit more power than my current RD07. However, it would not mean I ever need to sell this wonderful bike. I love Honda – I have spent more money with them through the years than any other manufacturer of anything (3 cars, 2 bikes). However, lately, whether attributed to global recessions, natural disasters or anything else, they really seem to have lost their way… the sparkle that made Hondas a bit different and a bit special has waned… I hope they find their innovative spirit again, and soon, as it seems like they’ve only been putting out (well engineered and built) tangible apathy recently, particularly in the adventure bike category. The brand new VFR800X, NC700/750X, CB500X and 285kg VFR1200X Crosstourer (25kg more than a fully fuelled R1200GSA?!?!) 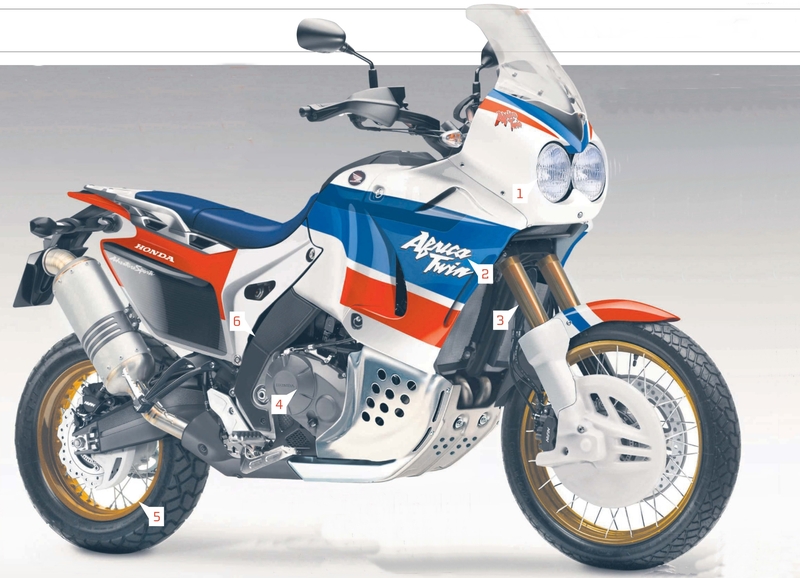 just feel like ‘oh well’ responses, platform sharing with the equivalent road bikes trying to get in on a slice of adventure pie, now that they’ve killed off the Africa Twin, Varadero and Transalp, which were purpose-built adventure bikes. 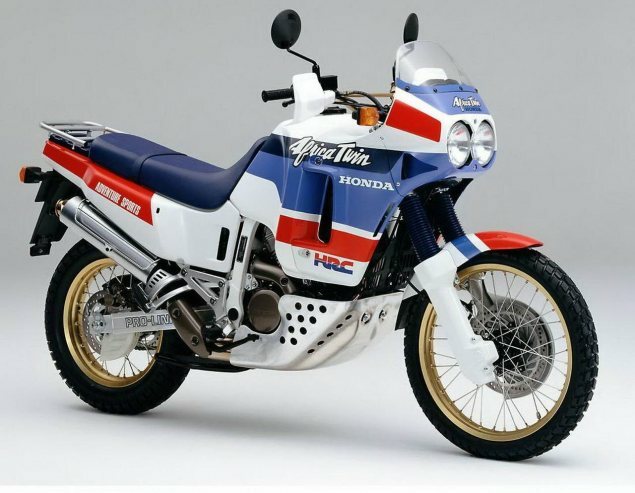 If they do reincarnate the Africa Twin I’ll be at their doorstep in a heartbeat. I enjoy my Tiger 800XC, so this AT will have to be really good and a fun off pavement motorcycle for me to do it. Light and versatile as ever with a 21 at the front……adv at its best! We dont wanna wait any longer! 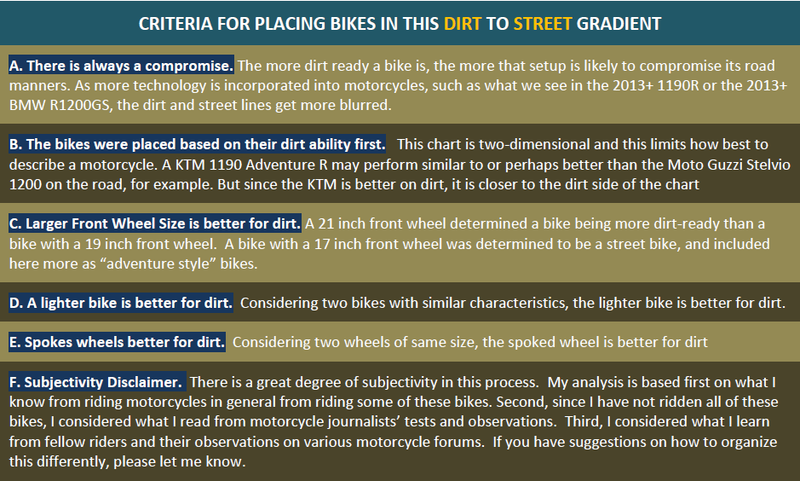 This is the best article ever written disecting the anatomy of an adventure bike. It’s a shame to me the cc’s keep going up. 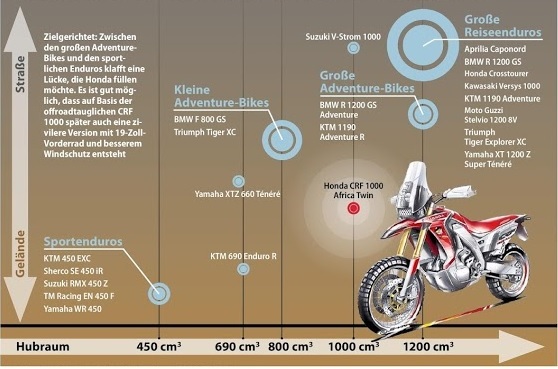 The true go around the world bikes should be in the centre of the graph, slightly dirt oriented. 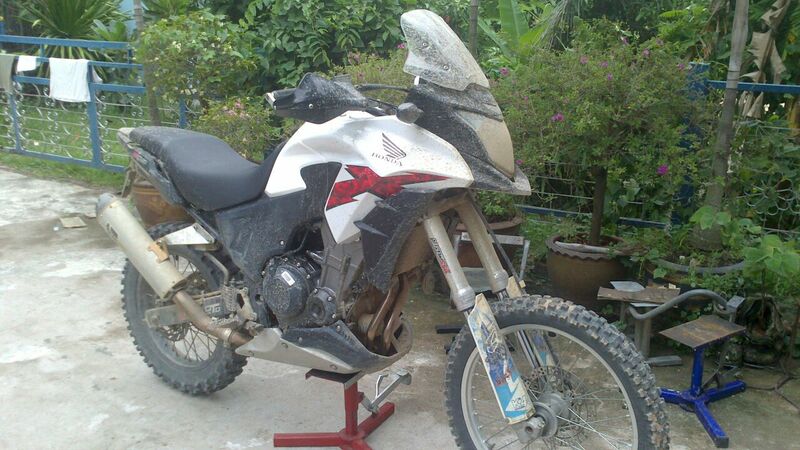 Halfway between road and off road with enough but not excessive performance that isn’t required offroad. Above about 50HP all the bike can do more of is throw more stones. If I had $20,000 of bike to go around the world on I’d start with something between 400 and 750 cc and build on that. Because there really is only one bike in my neck of the woods that fits that criteria I’d start with a DR650 and make it more comfortable and give it better fuel range.